Freedom Mortgage Corporation is a privately owned, established and fully licensed mortgage lender offering wide array of choices for loans to existing and new customers at competitive rates. It has been into the business since 1990 and is the fastest growing mortgage lender in the country. It engages into processing, funding, originating as well as serving loans. The company provides purchase and refinances loans, fixed-rate mortgages, home renovation loans, residential loans relating to investment properties, secondary homes and primary properties etc. It offers services at low interest rate all the time. Mr. Stan Middleman is the Chief Executive Officer of Freedom Mortgage Corporation presently. 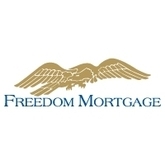 There are currently 0 consumer reviews about Freedom Mortgage Corporation available. Share your review. Please take a note that you are about to post a public review about Freedom Mortgage Corporation corporate office on CorporateOffice.com. This review will be public, so please do not post any of your personal information on this website. If you would like to contact the corporate offices of Freedom Mortgage Corporation, please use their contact information such as their phone number, website, and address listed above to contact them. However, sometimes staff from Freedom Mortgage Corporation headquarters do read the reviews on this website.